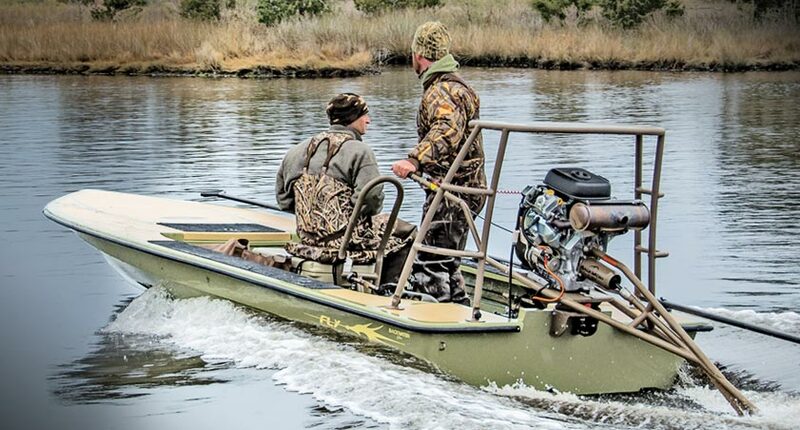 Mud Motors | Long Tail Shallow Water Boat Motor | Backwater Inc.
At Backwater Inc. we are setting the new standard in shallow water motors with the all new S.W.O.M.P™ series. The SWOMP lineup has been engineered to run faster, shallower, and handle easier than any other motor in their class. This is achieved through the combination of exclusive features such as our patented bulletproof tubular DOM frame, the revolutionary patented Surface Tracer™ cavitation plate, the patented Revo-Clean™ System and many other industry-firsts. Backwater™ motors are in a class all their own. Durability AND lightweight is a fine line that needs to be balanced with precision. Backwater Builds the lightest long tail possible without sacrificing important features. We have cut off all the fat and kept all the meat that makes backwater in a class of it's own. There might be slightly lighter options* but these other options are not options if you want the quality and important features that come standard with backwater long tails. *Question accuracy of scale used when recording weights and/or what was left off the scale. 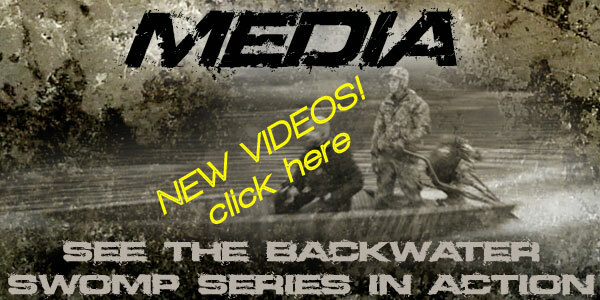 THE BACKWATER DIFFERENCE how we are changing the mud motor industry. Prior to Backwater and the SWOMP series, there had been little innovation or improvement to mud motor design in 30 years. After copycat after copycat hitting the market, Backwater has made a giant leap forward with the introduction of the SWOMP series long tail mud motor. Backwater motors have a few key improvements that no other mud motors on the market have. The three most important are the patented lower bearing system with Revo-Clean, the patented removable and adjustable rounded Surface Tracer Cavitation plate, and the Patented Tubular Frame design. The Revo-Clean keeps weeds, fishing line, decoy cord, sand, mud and debris from getting to and wrecking your seals and bearings. This is done with a reverse spiral groove machined into the drive shaft which runs inside of the Revo-Clean cap. When the motor is running this system is continuously augering out any debris that starts to work its way into the bearing housing. Revo-Clean also makes the shaft much less likely to bend by supporting it closer to the prop when a hit is taken. Our Surface Tracer cavitation plate gets the prop to run on the surface of the water after simply adjusting the pitch to match the boat. When your prop is on the surface there are three distinct advantages. First, the motor gets easier to handle, no fighting with prop walking, digging deep or jumping out of the water. Second, with the prop on the surface the likelihood of taking a hit goes down and when a hit is taken it releases easy. In the end, much less wear and tear is transferred to the unit. Third, the prop running on the surface gives you added speed! The DOM Tubular Frame design is super tough and foam filled with marine grade foam to keep moisture out. The foam, adding rigidity to the already bullet proof tubular frame, also makes Backwater motors have much less vibration than a strap steel frame. Beyond the functional benefits the tubular frame is aesthetically pleasing. Look at the Backwater S.W.O.M.P lineup and see the strength and beauty!